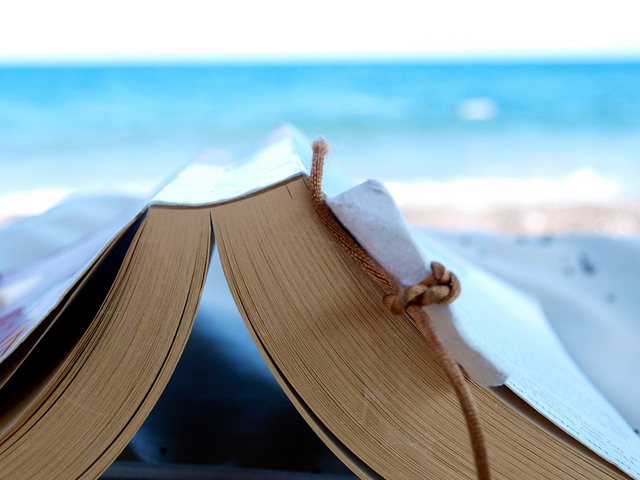 The best beach reading this summer is all about the movies. Summer, the most relaxing of the seasons, is also the time of year when many folks set themselves a major task: to catch up on their reading. Count me in. When I was a kid, I’d load up shopping bags with library books to keep me company on our annual trip to the cottage. These days I go for a book that can withstand my heat-addled attention span, not to mention liberal doses of sand and suntan lotion. That doesn’t always mean I’m reaching for a trashy paperback. I’ve just finished up three books that give serious props to some aspect of movie making. All of them provide great insight into the work of visionary artists. And all have a local tie or two, so I thought I’d share them. Chicago writer Robert K. Elder has once again combined his amazing prolificness with his seemingly all-access pass to Hollywood to put out a book of interviews with film directors talking about their second-greatest love: Not their own, but other people’s movies. The films discussed fall on the obscure or not appropriately appreciated side of things, and their range is remarkable: from experimental (WR: Mysteries of the Organism) and high-art films (Eureka), to American independent (Who’ll Stop the Rain), to rare oddities and outright head scratchers (The Chase and Can’t Stop the Music, respectively). For me that was part of the pleasure -- revisiting some old favorites by way of another person’s passion. To read John McNaughton (Henry: Portrait of a Serial Killer) on the underrated Who’ll Stop the Rain by Karel Reisz, or Richard Linklater (Before Midnight) on Vincente Minnelli’s Some Came Running (really the best Frank Sinatra film), only deepened my appreciation for films I already love. And while it makes sense that “outsider” director Todd Solondz (Storytelling) admires The Honeymoon Killers, a raw, campy late-‘60s outing from Leonard Kastle, there are surprises. For example, I wouldn’t have guessed that Kevin Smith (Clerks) was deeply informed by the austere and mannered A Man For All Seasons (which you can chalk up to a combination of his childhood Catholicism and his love for good dialogue). The biggest strength of Elder’s book, however, is that by getting these directors to talk about something other than themselves, they actually reveal a lot about their own characters. It’s funny to read along as the brothers Quay (Duet) work themselves into a snit over the “abysmal judgments” of critics who don’t appreciate the strange and intense beauty of L’Ange, a film they believe “tends to separate the men from the boys.” Neil LaBute (In the Company of Men) proves to have a deeply nostalgic streak in his love for Paul Mazurky’s Blume in Love and other films of the ‘70s (an interview that could be subtitled, ‘They don’t make ‘em like they used to!’). John Waters&apos; (Hairspray) take on Joseph Losey’s Boom! -- “It’s, in a way, really, really good. But at the same time, it’s so terrible. I’m confused all the time,” proves that the most transcendent film experiences may well be those that are equal parts heaven and hell. Curtis Harrington (1926-2007) is just the kind of director you’d expect to discover in Elder’s book - and in fact his 1971 camp thriller What’s the Matter with Helen? is briefly invoked by John Waters. In many histories of American filmmaking, Harrington is more of a footnote than a recognized name. But he deserves better. As his memoir makes clear (published by local music label Drag City and edited by the Chicago writer/poet Lisa Janssen), Harrington worked both the outskirts and the epicenter of the Hollywood machine, and more or less lived to tell the tale (though he seems a bit ashamed by his association with some of the more sordid aspects of the business). Harrington’s career is a mass of contradictions. It’s hard to come up with another filmmaker of the time who made avant-garde movies alongside other queer filmmakers like Kenneth Anger (The Wormwood Star) and made movies within the Hollywood studio system and directed episodes of American television (Charlie&apos;s Angels, Hotel). Harrington was more or less a nobody, an outsider. But he was a rapt student of old Hollywood, and he parlayed that knowledge into a remarkable set of connections that furthered his appreciation for great filmmaking and helped to advance his own career. Was there anyone Harrington didn’t know? He hung out with Maya Deren and Anaïs Nin at parties. The famed critic André Bazin introduced him to the legendary filmmaker Robert Bresson. Roger Corman, godfather of B movies and American independents, bankrolled some of his early filmmaking efforts. In turn, Harrington worked his own growing influence. He cast Dennis Hopper in his 1961 thriller Night Tide. He claims to have helped Katharine Ross win her role in The Graduate (she’d appeared previously in Harrington’s Games). And he helped to revive the reputation of James Whale, a director who had fallen far too soon into obscurity. At times the name dropping is tedious. Though the insider gossip is delicious, it doesn’t leave much room for reflection on how Harrington actually went about making his films, whose casts, costumes and set designs were thought out in painstaking and fascinating detail (I’d love to inventory the art on display in Games, for example). But there are incredible moments as well. Harrington used his studio jobs to access as many old films as possible. His description of watching Josef von Sternberg’s last silent film, The Case of Lena Smith, is haunting, especially when Harrington reveals the film was destroyed not long after his viewing. In fact, the memoir ends with some of Harrington’s best work: his index of von Sternberg’s films. It proves, as if that’s required, what great taste Harrington had. Unfortunately his aesthetic was precisely his undoing, the quality that made his inevitable move into directing TV movies and shows feel less like a chance for reinvention and more like a descent into commercial hell, what he describes as a “slippery slope.” In our current moment, when some of the best directors are finding new cinematic terrain within the confines of television, it’s hard not to lament the loss (or at least the timing) of a talent like Harrington. Somehow I think Curtis Harrington and Sun Ra, though from very different times and places, might have felt an affinity for each other’s work or style. Or at least that’s my cursory conclusion after pouring through this beautiful new art book from local gallery Corbett vs. Dempsey. Though mainly devoted to the Sun Ra-inspired murals of Ayé Atom (thanks to the rediscovery of a collection of photos documenting Atom’s work in homes around the South Side of Chicago), the book begins with a wordless plunge into a series of stills from Space is the Place, the 1974 science fiction film featuring both musical and theatrical performances by Sun Ra and his Arkestra. Shot on location in Oakland, Calif., the storyline (by John Coney, who - get this! - was then a producer/director at the public television station KQED) involves Ra’s efforts to create a black space colony, a new eden that would provide an escape from time and “the sounds of anger, guns and frustration” that fill the air down on planet Earth. The stills are an interesting mix of the fantastical and banal. Clad in what one reviewer has called “goodwill Pharaoh garb”, Ra stands, solemn-faced and poised, in a parking lot. His tie-dyed robe swirls in the wind, his Egyptian-style headdress, complete with a giant translucent orb, reaches toward the heavens. Off in the distance, you can see a school bus and other cars (a white Chevy Nova?) behind him. In other images, Ra waits quietly on his “planet,” a lush jungle landscape, home to floating jellyfish-type creatures, and long horn-like instruments that appear to have tongues. In my favorite image, Ra can be found stage right, slightly out of focus, looking as if he’s about to glide right out of the frame. It speaks to the way Ra, who did so much with and about the moment he lived in, wasn’t quite in step with the times, but always one or two extraterrestrial strides ahead of the game. So that’s my list, now what about you - what are you reading this summer? Share your picks in the comments section.